John Adorney is an award-winning composer and producer whose five solo CDs, Beckoning (1998), The Other Shore (2002), Waiting for the Moon (2004), Trees of Gold (2006) and The Fountain (2009) have garnered glowing reviews from around the world. John's latest release, The Fountain, captures the energy and melodic beauty of his previous CDs. Daya once again provides her luscious vocals, and is featured on the comforting ?Even in Your Darkest Hour.? On the lovely ?Comme le Vent,? John collaborates once again with lyricist and African vocalist Marcel Adjibi. John's latest release, The Fountain, captures the energy and melodic beauty of his previous CDs. Daya once again provides her luscious vocals, and is featured on the comforting ?Even in Your Darkest Hour.? On the lovely ?Comme le Vent,? John collaborates once again with lyricist and African vocalist Marcel Adjibi. John began his musical studies on the cello at the age of nine, then taught himself the guitar and began recording his original material at the age of eleven. ?I sat up in my room with two reel-to-reel tape recorders, overdubbing cello and guitar parts to tunes that I had written,? he says. ?I was fascinated by the fact that I could play four or more parts on the cello, and layer them on top of each other. Although the technology is incredibly more sophisticated now, I'm still doing basically the same thing." John soon taught himself to play piano, and continued his classical studies at the University of Connecticut. Relocating to Los Angeles in 1980, he finished his undergraduate studies in both music and psychology. He began teaching music at a Culver City school for emotionally disturbed and developmentally disabled children. 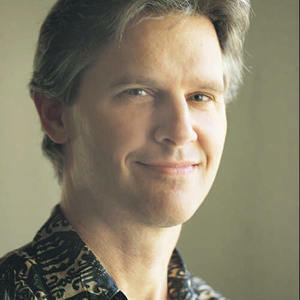 In 1991, he became certified as a music therapist and developed a successful private practice while also teaching courses in music therapy at California State University, Long Beach. During his years in Los Angeles, John began to focus on composing instrumental music. In 1986, he met 7-year-old Daya, who, even at a young age, had an outstanding voice, and would later lend her vocals to John's recordings. In 1998, he was invited to join EverSound, and soon released his first solo CD, Beckoning, EverSound's biggest selling CD to date. This was followed by The Other Shore, which was voted the best New Age CD of 2002 by the Coalition of New Age Retailers. On his third solo CD, Waiting For The Moon, his musical collaboration with Daya entered new territory by including two songs that John composed specifically for Daya to sing. Trees of Gold followed, which quickly rose to the top of the New Age radio airplay charts. In addition to creating his own CDs, John has also produced CDs with other artists, including Diane Arkenstone, Lino, and Curtis Macdonald. On his approach to music, John states, "In my music therapy practice, I often work with individuals who have no language, and who are extremely limited in their cognitive and physical abilities. This really enables me to see that music truly transcends the intellect, the ability to move, and all that separates us as human beings. It has the ability to touch the heart, and for me, that is what makes it all worthwhile." John lives in Los Angeles with his wife and 2 children.